The I-Team has an update on the fight to prevent wrong-way accidents on the highway. Pei-Sze Cheng reports. 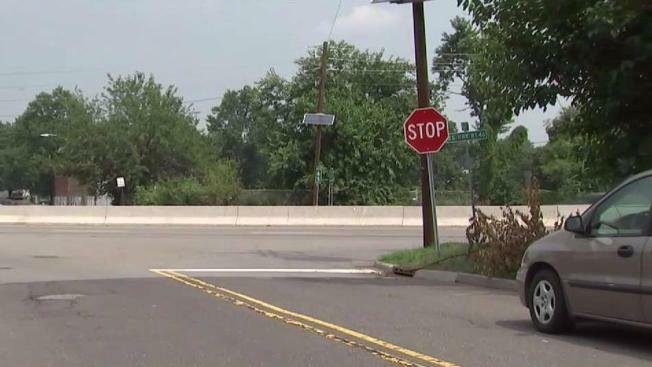 A top New Jersey legislator has introduced a bill to force the state to inspect traffic signs after the NBC 4 New York I-Team found dozens missing on busy highways with a history of wrong-way crashes. “There will be no more excuses,” said Englewood Democrat Valerie Huttle, deputy speaker of the New Jersey State Assembly. "No one is really holding [the Department of Transportation] accountable and they don’t have any excuse not to maintain these signs." Huttle expects the bill will have its first hearing this month. She said the I-Team investigation earlier this year, "put us on high alert." In May, the I-Team found one way, do not enter and wrong way signs missing on ramps and intersections of Routes 4 and 46, both of which have had deadly wrong-way crashes in recent years. Other signs were missing or posted in the wrong places along Routes 1 & 9, Routes 9 & 35, and Route 80. All of the signs are required by federal law. When asked about Assembly Bill 5111, the DOT said it doesn't comment on pending legislation. The DOT told the I-Team that it has repaired or replaced signs at about 40 percent of the locations, and is in the process of completing its investigation into all of the intersections in question. The I-Team was able to verify that two signs were replaced, but a spot check of other locations found signs still missing. In response to an I-Team request for comment on the signs that were still missing, the DOT said that it prioritizes major roadways and intersections before minor roads, such as Stone Avenue, which was found to be missing a one way sign at Route 46. The department said the missing sign at Stone Avenue was identified during a recent field inspection and that it expects that sign to be replaced this week. The DOT said it follows federal law with signage. It primarily relies on local public safety officers or DOT crews to inform it about signs that are missing, damaged or knocked down. When those issues are reported, the DOT initiates an investigation and assessment of the location, and if improvements are warranted, takes necessary action, the agency said. The DOT said that during the first six months of this year, it repaired or replaced 5,705 signs. In the past three weeks alone, it repaired or replaced 188 signs in northern New Jersey.